When a group of petty criminals is hired by a mysterious party to retrieve a rare piece of found footage from a rundown house in the middle of nowhere, they soon realize that the job isn¹t going to be as easy as they thought. In the living room, a lifeless body holds court before a hub of old television sets, surrounded by stacks upon stacks of VHS tapes. As they search for the right one, they are treated to a seemingly endless number of horrifying videos, each stranger than the last. Bringing together some of the top filmmakers in the game today, this wickedly conceived horror anthology sends the viewer through a gauntlet of suspense, terror, shock, and downright brutality instantly distinguishing itself from a sea of lackluster found-footage horror flicks. The diverse and deviously creative minds behind V/H/S shatter any preconceived notions about the genre, making it feel inventive and captivating once again. 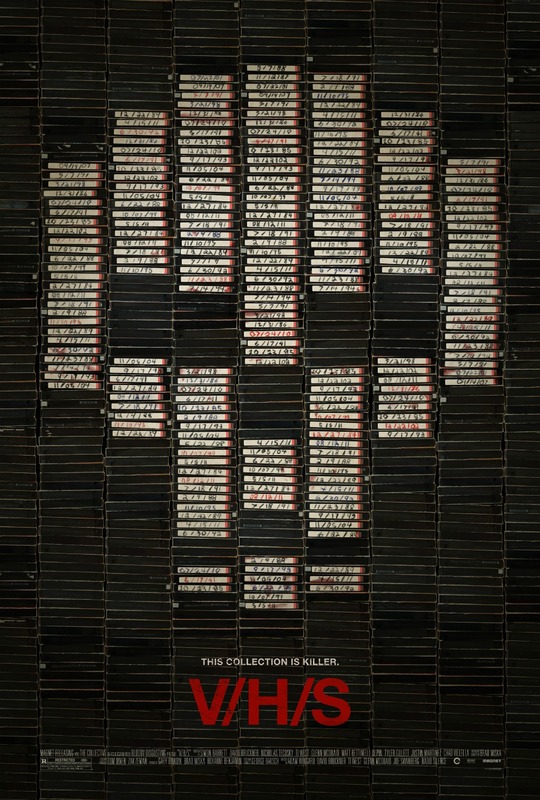 V/H/S will be available through Magnolia On-Demand starting 8/31; in theaters starting 10/5.